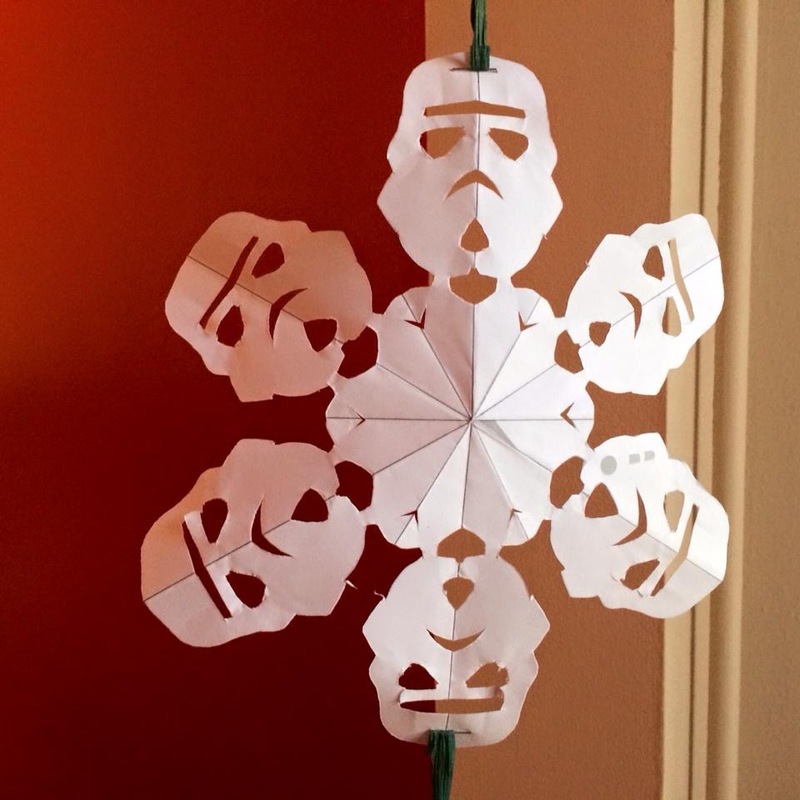 One of my colleagues at Palmer Memorial Episcopal Church, whom everyone knows really loves Star Wars, has decorated the publications office with lots of snowflakes for Advent & Christmas. The Morning Star, of course, dispels even the dark side. That’s good news for the whole universe, including these Imperial Stormtroopers. It’s no secret either that today is the official opening date of Star Wars: Episode VII The Force Awakens or that the Willard family has tickets to see that movie today, very soon after school is dismissed for Christmas break. It should really come as no surprise, therefore, that today’s haiku theme is all things related to Star Wars. of the Star Wars universe?